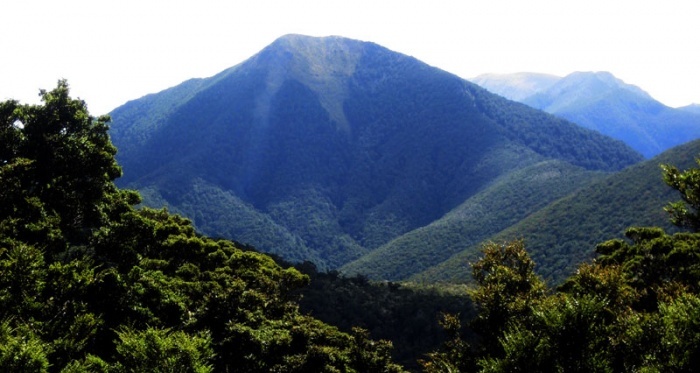 Lodestone is an accessible peak in the Arthur Ranges. From the top there are excellent views of the surrounding countryside and all the way out to Tasman Bay. While the tramp starts at the same place as the Mt Arthur walk (in Flora Carpark), it is slightly shorter. So if you’re short of timeLodestone makes an excellent alternative. The track to the summit of Lodestone begins from the Flora Saddle carpark, where there is a shelter and a toilet. The Flora Shelter contains a number of interesting informational panels, and was opened by Prime Minister Jim Bolger in 1996. You can climb Lodestone as part of a circuit, so follow the signs directly up the Loadstone Ridge to the top of Lodestone. The track travels through beech forest before breaking through the bushline. There are some steep sections to negotiate especially near the top of the summit. It takes approximately 2 hours to reach the summit. Views at the top are fantastic and include Mt Arthur, Gordons Pyramid, Tasman Bay and the Waimea Basin. You can either return from the summit the way you came, or continue down in a circuit via Flora Hut. To do this, follow the poled route over the summit to the bushline on the south western corner of Lodestone. Follow the track which leads down a forested ridge toward Flora Hut. Just by Flora Hut you’ll need to cross a stream to get to the hut itself (Quartz Creek). If you feel like a snack, Flora Hut is a nice place to rest as there are picnic tables located there. From Flora Hut follow the track back to the carpark. It will take approximately 2 hours to walk from the summit to the carpark.